Who’s Pushing the Panic Button? Every single Major League team now has 30 games under their belts, which gives us enough data to start surveying the MLB landscape looking for surprises and disappointments. Fans in Boston, Kansas City, and Denver have to be thrilled with their respective teams hot starts. However, for fans in other cities things haven’t been as bright. The Toronto Blue Jays were handed the AL East by most pundits before the season even began and they’ve fallen flat on their face out of the gate, carrying a 10-21 record that only the Houston Astros and Miami Marlins are envious of. Things are also starting to get dicey in Anaheim, where the Angels have once again stumbled in the early weeks of the season. Their supposedly vaunted offense has yet to earn its pay, thanks to its middle of the pack ranking in the AL in runs scored, and L.A.’s pitching staff minus Jered Weaver has been a disaster. They’re not the only cities that are getting anxious about their ball club’s slow start either. Fans in Philadelphia were hoping that a once-great pitching staff led by Roy Halladay, Cole Hamels, and Cliff Lee could rebound to carry the Phillies to the playoffs, but that hasn’t materialized thus far. The Dodgers were imagining themselves as the west coast Yankees with a budget to match. So far all that lavish spending has gotten them is 4th place and a struggling Matt Kemp.Even the handful of fans that attend Rays games have to feel a little nervous in the AL East watching their starting nine drop to 1-6 in games started by Cy Young winner David Price. Spring Training Battles: Who Wants the Corner Outfield Jobs in Philly? 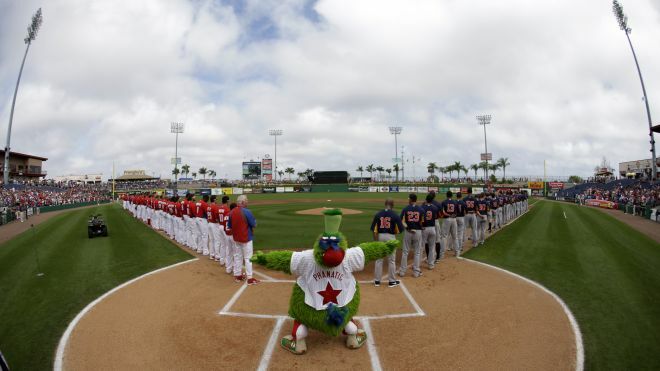 Each year baseball fans everywhere mark a random day in mid-February down on their calendars as one of the best days of the year: the day pitchers and catchers report, aka, the unofficial start of the Major League season. For many players, particularly veterans and All-Stars, Spring Training offers a chance to reconnect with old teammates while meeting new ones and to work the body into shape for the long grind of 162 games. But for many other players, rookies, guys on the fringe, or the 40-year-old looking for one last shot at glory, the start of spring represents the start of the season. These players are fighting for their big league lives, the last spot on the roster, or maybe even a starting position. On most days it has to be easy to be Charlie Manuel, the manager of the Philadelphia Phillies. As manager in Philadelphia he’s added one World Series ring to his hand to go along with the 5 NL East titles he’s won in 8 seasons. With a trio of perennial Cy Young candidates in the rotation, Manuel hardly has to worry about little things like match-ups and pitch counts because his aces will do the work for him. Will the Phillies’ Rebound Initiative Work Wonders? Let’s take a trip down memory lane real quick, back just two years ago. The Phillies were in the midst of assembling one of the greatest rotations of the past decade, a rotation that would be honored with many glowing nicknames like the Phab Four or Four Aces and a Joe-ker. The offense wasn’t too shabby either, possessing perennial All-Stars like Ryan Howard, Chase Utley, and Shane Victorino. Basically the sky was the limit and the Phillies had the finest regular season in franchise history, winning 102 games. 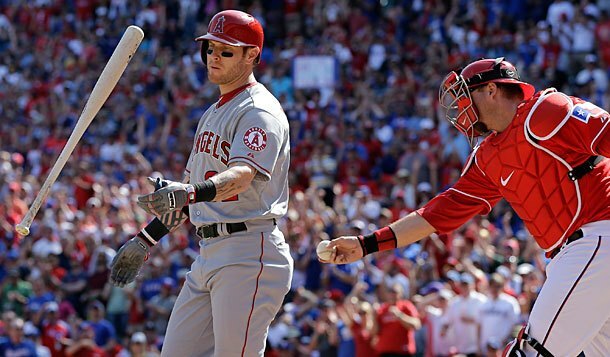 But they bowed out in the first round of the 2011 postseason, losing Ryan Howard as well. As he lay crumpled on the ground, writhing in pain, any notion of a future dynasty was soon dismissed. The 2012 season would be one full of disappointment. Cliff Lee struggled to pickup wins as a terribly assembled and poorly managed bullpen blew lead after lead. 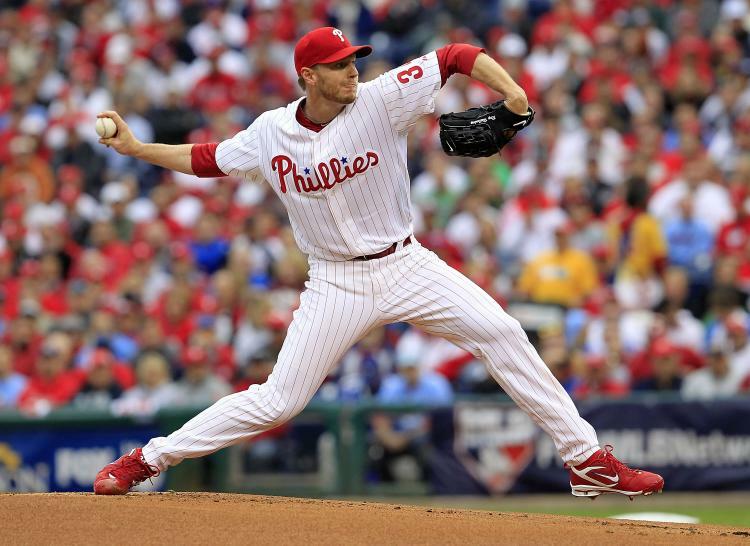 Roy Halladay went down with a shoulder injury, ending his run as one of the most dependable big game starters in baseball. Ryan Howard and Chase Utley experienced lost seasons, as they were unable to get their bats going after injury. By midseason the towel was thrown in by the front office when 2/3rds of the starting outfield was shipped west. When the Washington Nationals clinched the NL East on October 1st, it marked the end of Philadelphia’s five year reign over the division. Phillies GM Ruben Amaro Jr., ever the optimist, has again decided to play the role of favorite, reloading his aging roster with veterans in a last gasp sort of way. Michael Young was brought in to play 3rd through a trade with the Rangers. Delmon Young and Ben Revere were brought in to reinforce the outfield as well. If last year’s 81-81 finish was suppose to mark the end of an era, that’s not how Amaro Jr. views it. He’s imagining more of a speed bump, a one year deterrent on the way back to the postseason, and he may be biting off more than he can chew.